This blog was inspired by a recent talk I presented on nutrition for a local prostate cancer support group. As well as talking about other dietary basics, I brought a jar of pure pomegranate juice for them to try, being inspired by some recent research on pomegranates for prostate cancer prevention. Compounds in pomegranate have been shown to inhibit the growth of prostate cancer in animal studies, even hormone-dependent cancer cells. Pomegranate extracts also reduced the ability of tumors to grow new blood vessels, a process that is essential to tumor’s ability to increase their food supply). In a separate study, men with recurrent prostate cancer who drank pomegranate juice had a much slower rise in prostate specific antigen (PSA), a marker of prostate cancer progression. In addition to protecting the prostate, pomegranate can be a good ally in preventing heart disease, Alzheimer’s disease, and dental plaque. Best studied is pomegranate’s role in helping slow the development of atherosclerosis, the deposition of cholesterol plaques in the arteries. The consumption of pomegranate products reduces the oxidation of cholesterol, which may be one of the most important steps in the formation of atherosclerotic plaques. In fact, patients given pomegranate juice for 3 months demonstrated improved blood flow within the heart during a stress test compared to those given a placebo beverage. Pomegranate also protects the brain. Mice that were bred to have early onset Alzheimer’s disease performed better on maze tests and had decreased amyloid beta plaques in their brain when they were given pomegranate. Finally, oral use of pomegranate extract significantly decreased bacteria that contribute to dental plaque. If you would like to read some of the other dietary advice I shared with the prostate cancer support group, you can access my handout here. This entry was posted in Health and tagged cancer prevention, cardiovascular disease, cholesterol, cognitive support, dementia, dental health, gum health, health, heart disease, heart health, memory, mental-health, prostate cancer progression, prostate cancer support. Bookmark the permalink. Well not only interesting this is an amazing blog I like this so much. 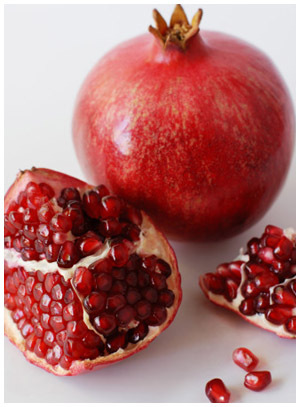 My dad has also told me about that Pomegranate to Protect the Prostate.It is a fruit of heaven. I have eat this fruit But never thought that it would have such kind of great importance for my health.Thanks for telling me about that.